Everyone knows about the one year anniversary of Facebook’s IPO. But many people don’t remember that Linkedin is celebrating its second anniversary of its IPO this week. Linkedin’s IPO didn’t get the PR and coverage that Facebook’s did, but Linkedin is going to be remembered far more for its IPO success than Facebook. It is the social media IP star, and it’s helping to land people new jobs every day. As of last Friday, Linkedin shares closed at $182.35, about four times their IPO price of $45 in 2011. And the stock more than doubled from $45 to $94.25 on the first day of trading on May 19, 2011. Facebook’s value increased only .23 on its first day of trading last year. 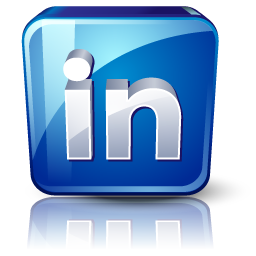 Linkedin has not just had more success in trading; it also has managed to maintain momentum. Linkedin now has 225 million users. While this is just a fraction of Facebook’s user base, remember that Linkedin is more than a social network. The company also offers hiring and marketing services to companies, and these have become some of the firm’s main strengths. Linkedin tapped into core tasks that professionals want to get done dealing with one’s professional network, finding a new job, refining skills and so forth. Linkedin with its thousands of groups also has turned into a strong professional content site. Professionals are able to use the groups as forums to discuss issues relevant to their niches and industries. Having such a strong focus on businesses and professionals has given Linkedin a major leg up over Facebook. With companies that are focused on consumers, the investment community is more hesitant as the path to monetization is a bit more unclear. With companies that are focused on businesses, it’s much easier for investors to see how money can be made. Most investment experts see that Linkedin has a strong growth trajectory for the future, with a business model that is highly scalable and can generate high incremental margins for the foreseeable future.